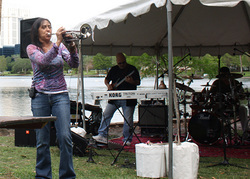 Central Florida Earth Day features numerous local musicians playing all original music. All are volunteering their talent and time. Many will have CDs and other products available for sale. The acoustic stage for Earth Day is produced by Rahoe Productions & Representation. ЯPR produces live concerts and events as well as HD photos and videos. The hybrid stage for Earth Day is produced by Chris Baranyi Sound. CBS provides audio technician and engineering services. Musical acts at both stages are coordinated by The Anthologists. The Anthologists is a cover collective and booking group performing and coordinating live music events throughout Central Florida. If you are a musician interested in playing at Earth Day, please complete the Musician Application. 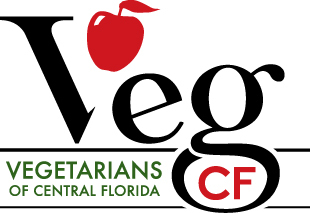 If you have questions, please contact Earth Day music coordinator Anthony Rouhana at Anthony@CFEarthDay.org or 407-731-0755 before registering. 11:00 a.m. John John Brown "Storytelling folk with an edge"
12.00 p.m. Zach Meadows "An acoustic collection of pop and folk music"
1:00 p.m. Austin Palmer "Eclectic and honest songwriting"
2:00 p.m. John David Williams "Singer-songwriter and musical shape-shifter"
3:00 p.m. Dog Day Afternoon "Alternative rock with harmonies for days"
4:00 p.m. Tessa Marie "Songs about living, growing, and loving"
5:00 p.m. Justin Alcaraz "Indie-acoustic, with a melodic and distinct sound"
11:00 a.m. Tonner "Anthemic piano & guitar-driven indie electro-pop"
12:00 p.m. Hannah Stokes & Ed Hobson "Funky folk singwriter-songwriter duo"
1:00 p.m. Conflicting Motive "A blend of alt rock, pop punk, and prog"
2:00 p.m. Amanda Lyn "Inspired by 1950s rockabilly and classic country"
3:00 p.m. Susie Cool "From dead serious to downright funny, AcoustiCool"
4:00 p.m. Violet Flair "A vibrant fusion of positive rock and pop"
5:00 p.m. Viviana Allison Clary "A beautiful blend of indie music and jazz"